A few miles northwest of my hometown of Baltimore lies the bland and leafy suburb of Pikesville, Maryland, named after Zebulon Pike, a brigadier general during the War of 1812. Until a recent visit home, I thought Pikesville’s only other claim to fame was being the town in which, two days before the 9/11 attacks, suspected terrorist Ziad Jarrah was pulled over for speeding. However, a request at a downtown bar for “something local” revealed a whiskey proudly bearing the town’s name. A whiskey named after Pikesville? Surely, I thought, it must taste of boredom. More on the taste in a bit, but it was the clarification “Maryland style” on the label that piqued my curiosity and led to the discovery of a rich heritage of whiskey-making in Maryland that started from its earliest days as a British colony. It was once so popular that an old advertisement for Pikesville Supreme Straight Rye Whiskey exclaimed it to be “the aristocrat” of Maryland whiskey. 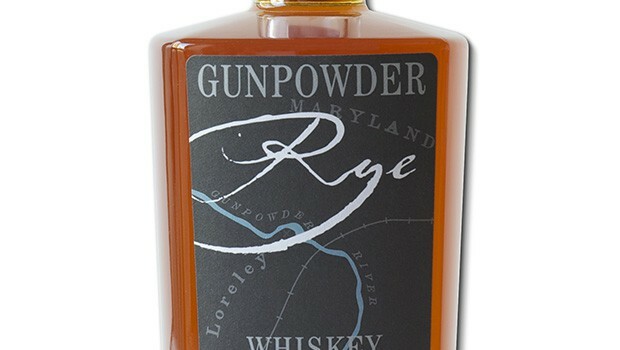 Rye first became a popular grain for whiskey-making in Maryland when 18th-century tobacco farmers discovered that distilling the surplus of this cover crop was cheaper than shipping it off somewhere. As a result, a sweeter grassier flavored rye whiskey— in counterweight to the peppery Pennsylvania style we’re more familiar with today— became synonymous with Maryland. The reason for this difference in flavor lies primarily in the lower rye content of the mash. Like a bourbon, a rye must be at least 51% rye, with corn and some barley finishing off the bill. A Maryland rye goes no higher than 65% rye while its counterpart aims at 75% or higher. Most of the rye made today is in the Pennsylvania style, though the most authentic recipes of both these styles have, alas, largely disappeared. 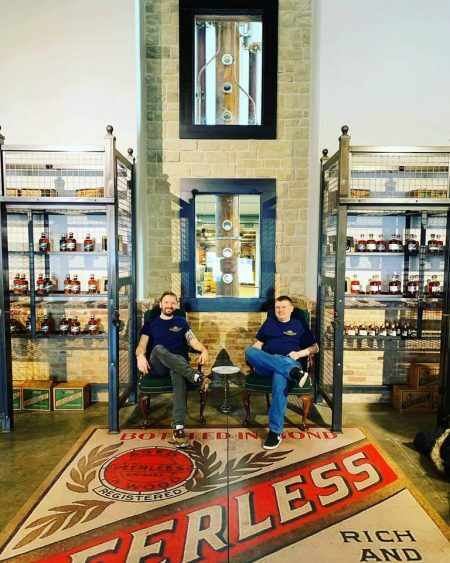 Pikesville Whiskey was first distilled in the late 1890’s, and once Prohibition was repealed in 1933, production of it resumed under new hands at Monumental Distillery (later, Majestic Distillery) in Landsdowne, a town several miles south of Pikesville itself. In the years that followed, Maryland quickly rose to become the top rye whiskey producer in the country. Why Pikesville Supreme wasn’t made in Pikesville or why the whiskey wasn’t called Landsdowne Supreme I cannot say, but it’s not the first time that the tale of a whiskey confuses. With the eventual decline of the public’s taste for rye, the distillery closed doors in 1972. That should have been the end of that, but Pikesville Supreme was resuscitated once again in 1982, this time by famed Heaven Hill Distillers in Kentucky, maker of many famous brands including Evan Williams Bourbon and Rittenhouse Rye. They can still put “Maryland Style” on the label since it’s the style not the location that now matters. Okay, so the truth is that having tasted it I’m not so convinced of its peerage. Since it’s the only Maryland style whiskey I’ve ever tasted I can’t say whether I simply prefer the spicier Pennsylvania style or if I’d enjoy this style in a different whiskey. Color: Tawny. Nose: Fruity, very much like a white whiskey. In the mouth: Grass clippings and apple juice in the first sip with spice notes pushing through as you go. It’s sweeter and smoother than the more common peppery ryes, with a finish that, after a short walk, drops off a cliff. Considering the price, it can probably be put to fine use in rye-based cocktails. 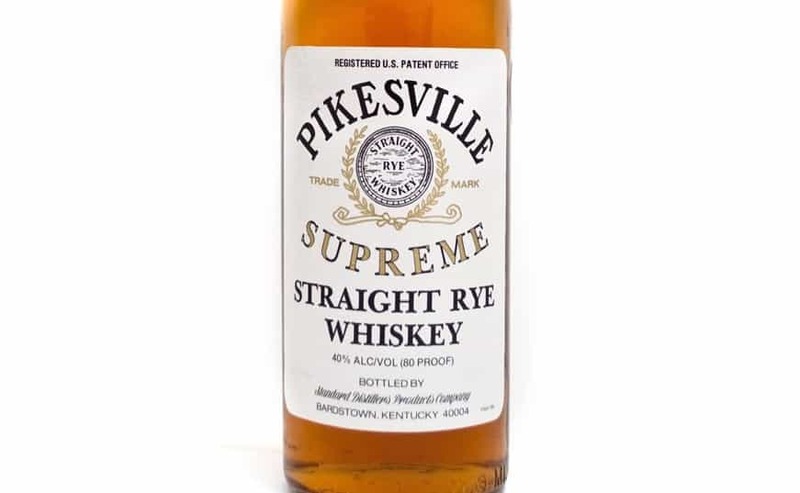 And to be fair, for those rye whiskey drinkers that prefer a sweeter mellower flavor, Pikesville Supreme could well deliver a decent-drinking experience that doesn’t hurt the wallet. Outside of the Maryland/D.C. 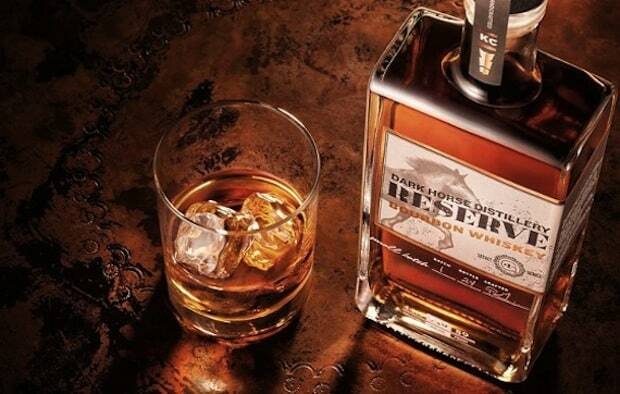 area — and surprisingly, the UK– this is a rare whiskey to find in stores, but when you do the price is highly agreeable. In light of that and its echoes of glory days gone by, I still consider it a fun one to have on the shelf. Bottled at 80 proof and aged 3 years in new charred oak barrels, it’s priced locally between $12-25 and in the UK one can get a bottle for £18.75 excluding VAT.